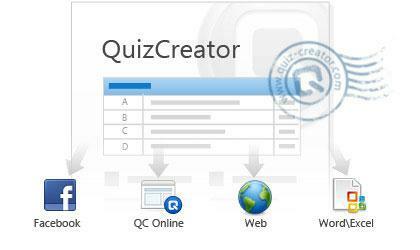 I have been using quizcreator for more than 4 years and I must say that is a very complete product, it allows you to choose from a lot of features and you can create excellent surveys too. The only problem in my opinion lies in the fact that this program doesn't work if you are using mobile phones or tablets. For this reason the chance to export the quiz with html5 format would be very very appreciated. This is a great product that I purchased last year. It is very easy to use and makes interactive content very quickly. The only problem is that it will not work with mobile devices as it is Flash-based only. Nice program, as to me! I had it as a giveaway and it was very nice to use it for my job. Quickly work, easy to design, interesting to use and make very creative quizes for business. But best of all the greatest and delegent support team, very friendly and nice persons in. Wish a good future for this program and all the best to all developers and members of Team. Love you, Wondershare! You are the best! This quizcreator is a great product. It is exactly what I needed for tracking learning by pupils. However, without some way of playing it on mobile devices, ( eg iPAD & Iphone & iPod), we are left with the inconvenience of having to get pupils on my mobile website, to stop using the mobile and get to a PC or a mobile with flash player capability "'cos it don't work on your mobile". Lost opportunity I'd say, for even bigger demand for the product. It would also be great if there was an automatic way to see dynamic progress and improvements of individuals as they take successive tests. 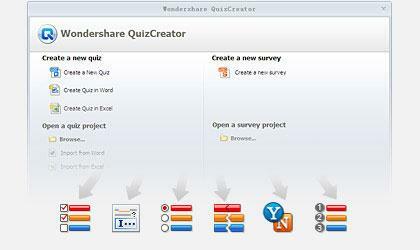 Wondershare QuizCreator is a powerful quiz maker that lets trainers and educators create professional Flash-based quizzes and surveys with multimedia. Quickly design your assessment and publish online, and then track the quiz results and receive insightful reports via Wondershare QuizCreator Online which works seamlessly with QuizCreator. Enhance questions with images, Flash video and audio, including voice-over, text-to-speech, etc. Make your quiz more challenging with time limits and randomization. Email Tracking: Automatically send quiz results to your specified E-mail address. LMS Tracking: Integrate a SCORM/AICC quiz package with any LMS like Moodle, BlackBoard, SharePoint or WebCT. 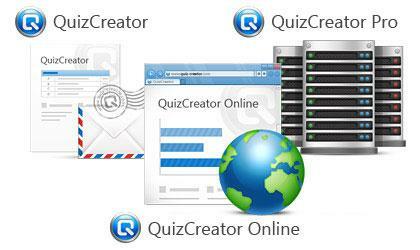 QuizCreator Online Tracking: QuizCreator Online lets you track results without an expensive LMS. Enjoy convenient administration features and receive insightful reports organized by quiz, answer, score, participant, etc. 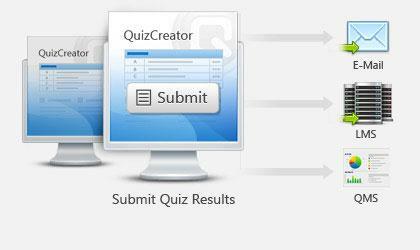 Work with QuizCreator Online to track quiz results automatically and generate insightful reports intelligently. 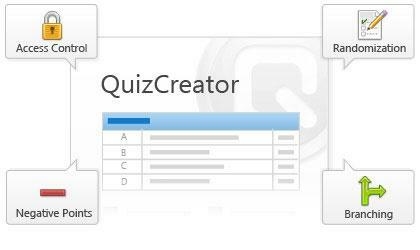 The familiar Ribbon style menu contains all tools you need and makes it easier to make a quiz & survey. Built-in spell checker to make sure every word is right for professional quizzes and surveys. Take a look at the final quiz/survey before publishing. What are the limitations of the trial version of QuizCreator?